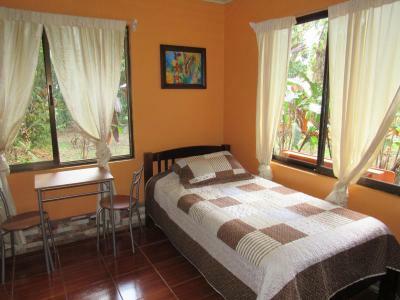 Lock in a great price for Finca Verde Lodge – rated 8.4 by recent guests! 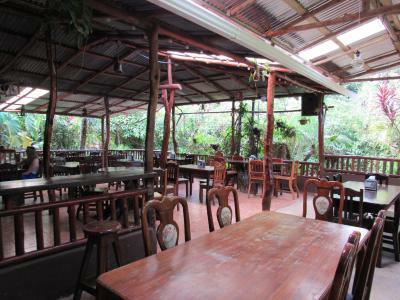 The employees are very nice and the restaurant is really delicious. 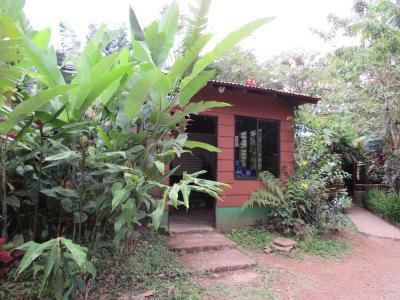 The location is convenient to rio Celeste and the town is nice. This is a hidden gem. The grounds are beautiful. 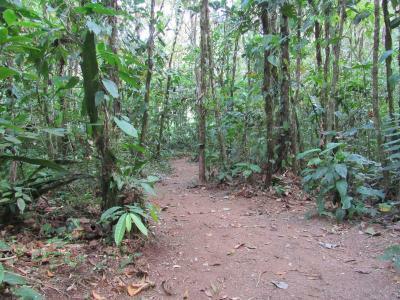 Upon our arrival in the afternoon, we were greeted by howler monkeys, saw 2 sloths, and many many birds. 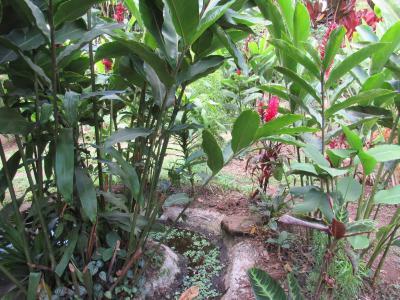 Tons of wildlife, beautiful flowers, and friendly staff. So great. We traveled with another family (4 adults and 4 kids (6-10 Years old) and this was a great experience. 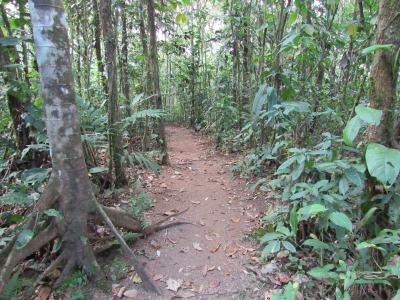 The local trails provided opportunity for exploration (remember to stay on the trails as this is a tropical jungle! 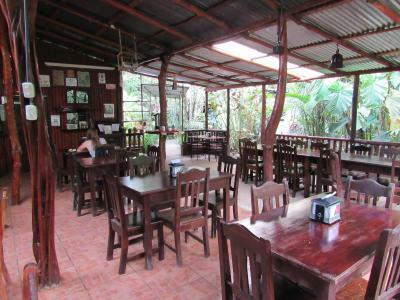 ), the included breakfast started the day off on the right foot, and Jorge's recommendations and ability to coordinate local tours was very appreciated and accurate! 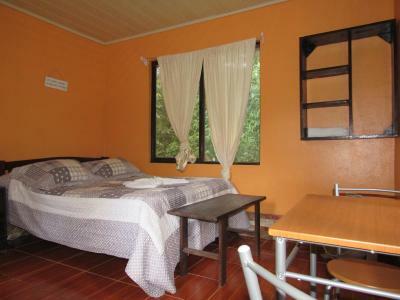 The lodge is basic, but very clean. There are no pests in the room during our stay in February, which is wonderful for people like my kids who are attracted to mosquitoes. The staffs are very friendly and helpful. My kids loved the lodge’s dog, CoCo. Brandon guided us the night tour, and he is such a talented photographer. We shot nice photos of red eyes tree frogs, blue jeans, and bats. We will come and stay again at the lodge. The most amazing hidden gem, EVER! 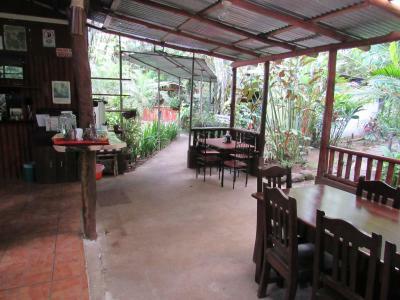 The family that owns this lodge invites you in as if you were sitting at their own table. 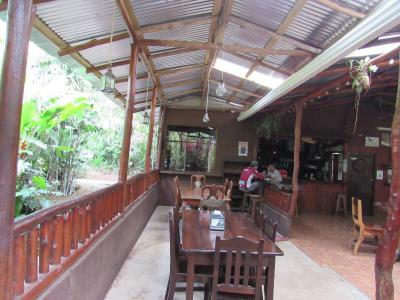 The rainforest tour is amazing, the Hummingbird Café is amazing, the owners are amazing! 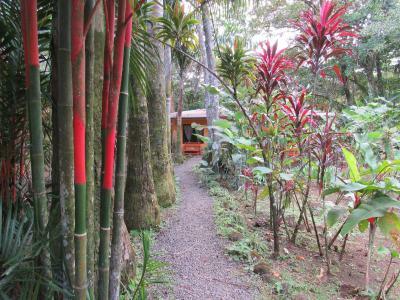 We stayed in two other places (La Fortuna and Los Suenos) and this by far was our favorite. I cannot say enough good about this sweet, beautiful spot. 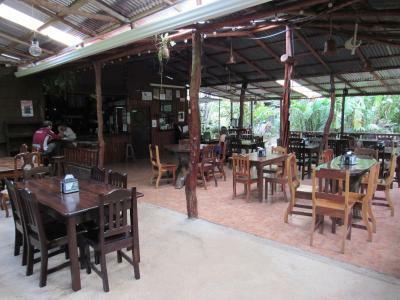 The quiet calm of the rainforest, the four legged tour guide Coco the black lab, the most amazing breakfast, the kindness of the staff and owners. 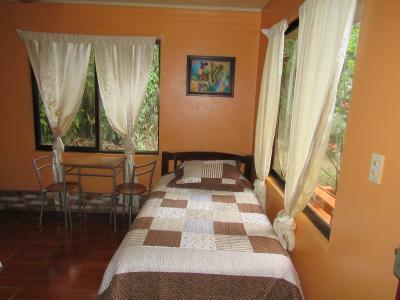 Book your stay here, you won't regret it. Everyone - the staff, tour guides, the owners and the dogs - was amazing! We loved it there and wished we had stayed longer than 2 nights. 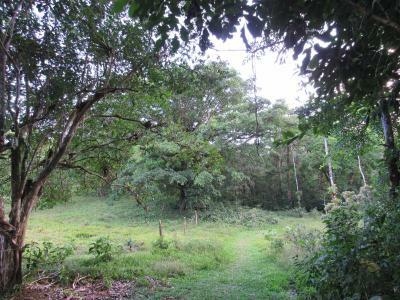 Seeing sloths, toucans, frogs and beautiful butterflies (to name a few) right on the property was a fantastic experience. The included breakfast was varied and delicious. We ate dinner at the restaurant one of the nights and the food was just as phenomenal. 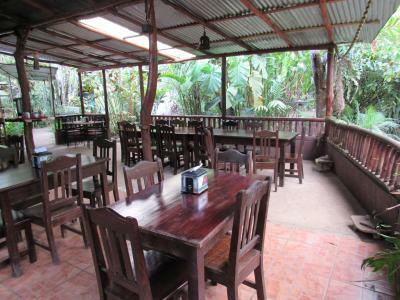 It's a relaxed, low-key atmosphere with comfortable, but simple accommodations. 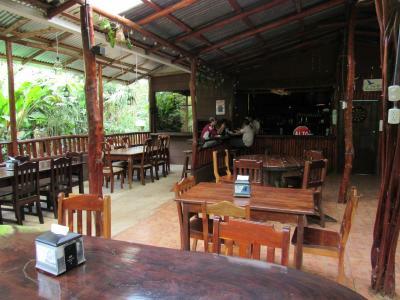 The owner was nice enough to drive us to the Tenorio National park to see Rio Celeste for a small fee. It was a great hike, not to be missed. 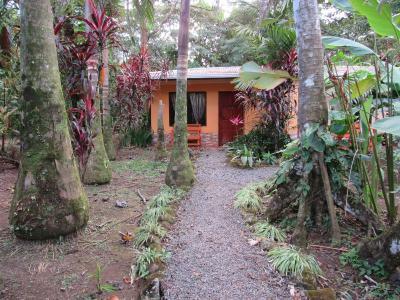 We would return in a heartbeat to Finca Verde Lodge! Agradecimiento especial a Jon, Jorge y Brandon, disfrutamos muchísimo nuestra corta, pero memorable, estadía. ¡Gracias! Anthony was extremely helpful in resolving the situation with our room. 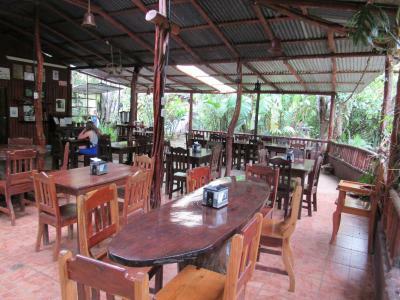 He also offered many good suggestions of things to do since the rain ruined our plans of going to Rio Celeste. 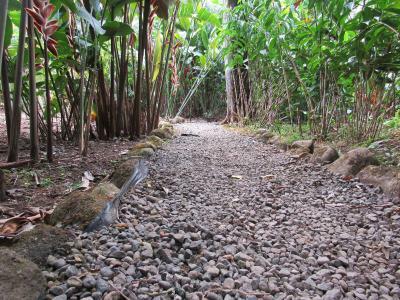 We got to see many monkeys on the trails around the property. That was the highlight of our stay. 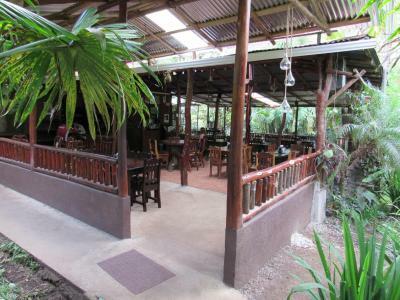 Finca Verde Lodge is located in Bijagua and offers an à la carte restaurant on site. 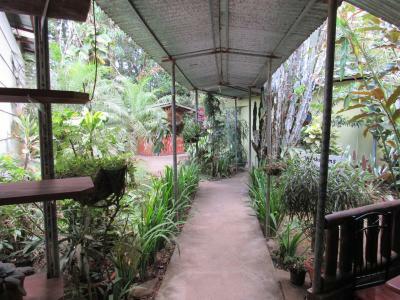 Free Wi-Fi access is available in this lodge, plus it features a butterfly house and a reptile farm. 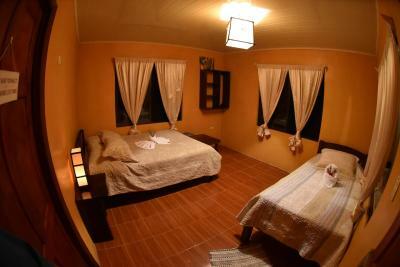 The functional rooms have a balcony and feature a fan, towels, wardrobe and a private bathroom with shower. 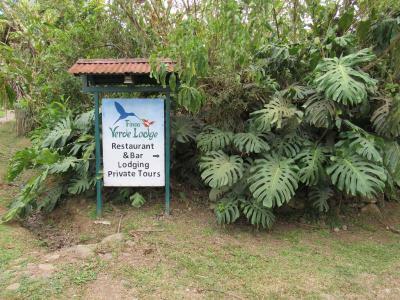 Some of the recommended activities while staying at Finca Verde Lodge include night tours in the area and bird watching. 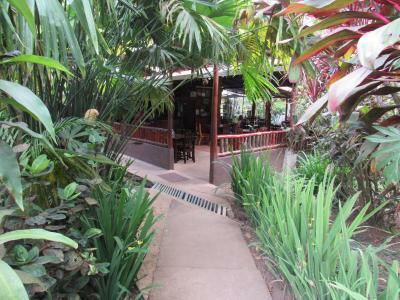 At Finca Verde Lodge you will find a garden, BBQ facilities and a bar. 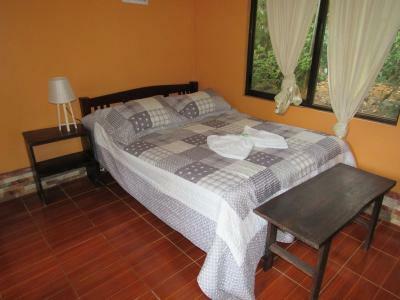 Other facilities offered at the property include a tour desk and laundry services. 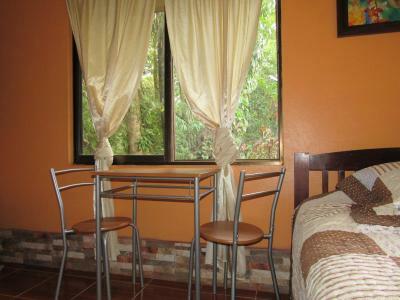 The property offers free parking and shuttle services to the town center 0.6 mi away. Upala Domestic Airport is 4 mi away, while Daniel Oduber International Airport can be reached in 75 minutes’ drive. 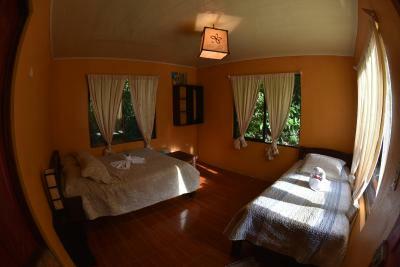 When would you like to stay at Finca Verde Lodge? 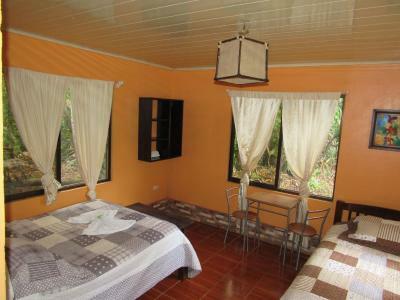 These functional rooms have a balcony and feature a fan, towels, wardrobe and a private bathroom with shower. 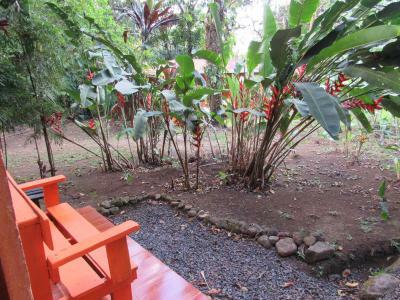 House Rules Finca Verde Lodge takes special requests – add in the next step! Breakfast could have been earlier than 7:30...maybe 7. Just so folks can start exploring earlier. The breakfast was excellent! 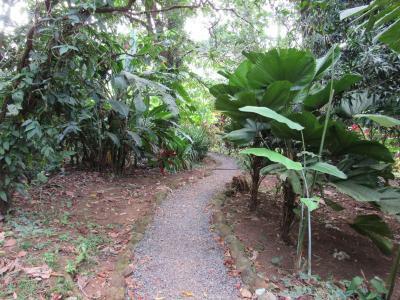 The grounds are lush and well kept and full of wildlife and an amazing variety of plants. The cabins are airy and pretty and private. All staff relaxed and helpful. The restaurant is excellent. Very friendly atmosphere in general. They fixed us up with a fine, knowledgable guide for a night tour of the grounds. Bijaugau is a wonderful little town. 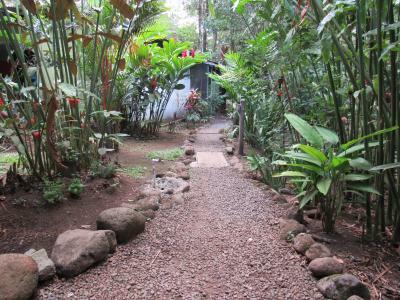 Our stay at Finca Verde was a bit puzzling. The place maintains a popular restaurant and hosts daily visits from tour buses, and perhaps that is the reason they did not make particular efforts to orient and help their overnight visitors. The accommodations themselves were serviceable, but very basic (there is no place to sit in the cabins but the beds themselves, and the paths from the cabins to the restaurant are not lit, so you just have to find your way in the dark), and they did not seem especially well-maintained. 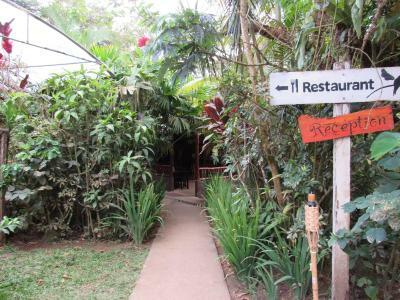 The restaurants staff was polite and the breakfast quite good, but they weren’t especially generous with advice or local wisdom and seemed puzzled to even be asked. Overall, this was not a highlight of our trip, though the area itself is very worth visiting. 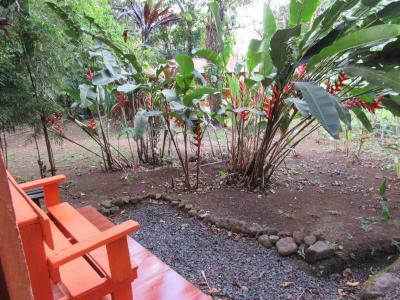 We loved the property and the food! The nature tour and being on the land was incredible. We learned so much. 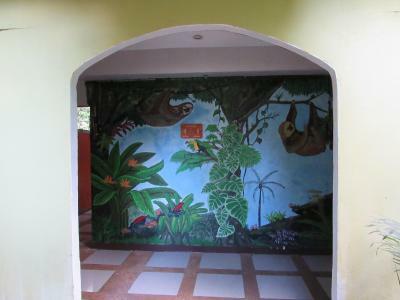 We had amazing experiences with the capuchin monkey, sloths, porcupines, howler monkeys, hummingbirds, and even snakes. We also learned so much about the forest! 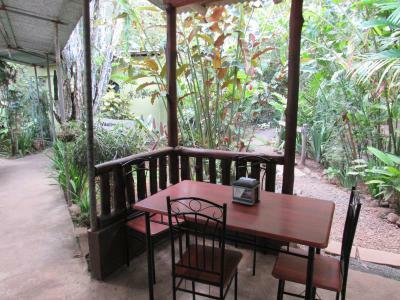 Located right in the rainforest; saw a sloth in the tree just a few feet from the breakfast table! The breakfast should start earlier. 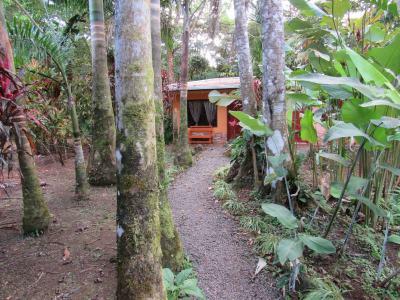 We loved the location of our cabin - very private and away from the reception/restaurant ares. 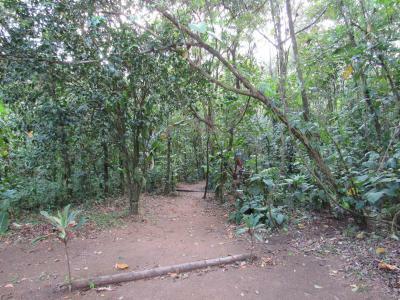 The trails through the woods were well kept. We were just a few steps from our cabin and found a sloth...with a baby on her belly! 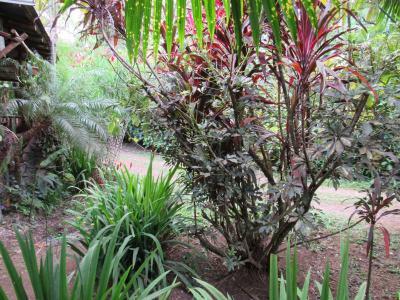 The grounds are well kept and have some beautiful flowers we had not yet seen. Bathroom was a bit primative. Food was excellent as were the tours. 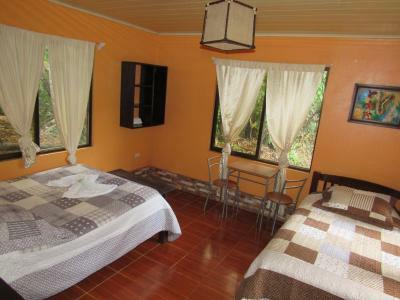 The rooms were not insect proof which is necessary in the jungle. The screens in the windows had holes in the sides so there was lots of bugs in the room at night which meant lots of bites!. 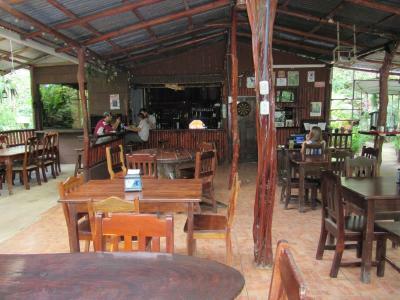 The owner was not very friendly but his staff was very helpful and kind. There is no maid service except new towels. Breakfast times are very restrictive; Only served 8-9 no exceptions despite the fact that most tours and attractions in the area START at 8. Beds were old but fine as I’m not picky but the linens did not fit and came off constantly. Could be a great resort with a bit more time and attention to customer service. Bathroom should have more shelves and hooks to hang clothes. Rooms weren’t cleaned each day which suited us fine, but some might want that...also, it would have been nice to have safe deposit boxes in the rooms. 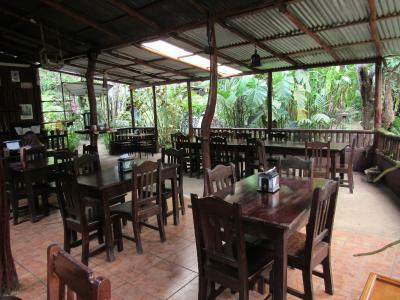 Hot Breakfast was included every morning, staff were friendly and English was very good. 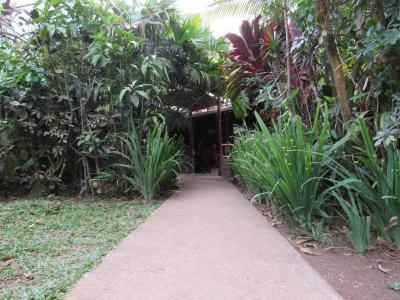 Wildlife everywhere and guided hikes on site:) we are at the restaurant every night and it was delicious food. This was a lovely, easy, relaxing place to begin our holiday. 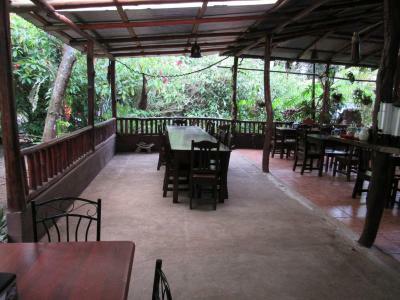 The staff were incredibly helpful and it was easy to find rides wherever we wanted to go. 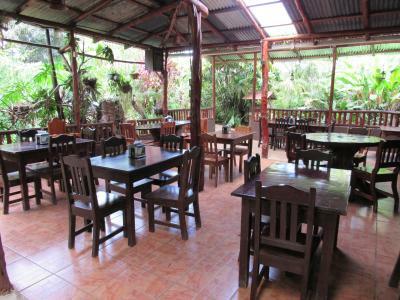 Food was good, room was clean, closeness to nature, beds were comfortable, staff were friendly, setting was excellent. The night hike was interesting, but we did not see too much. Would have liked our guide to have shared more information with us, but we asked lots of questions to learn as much as we could.